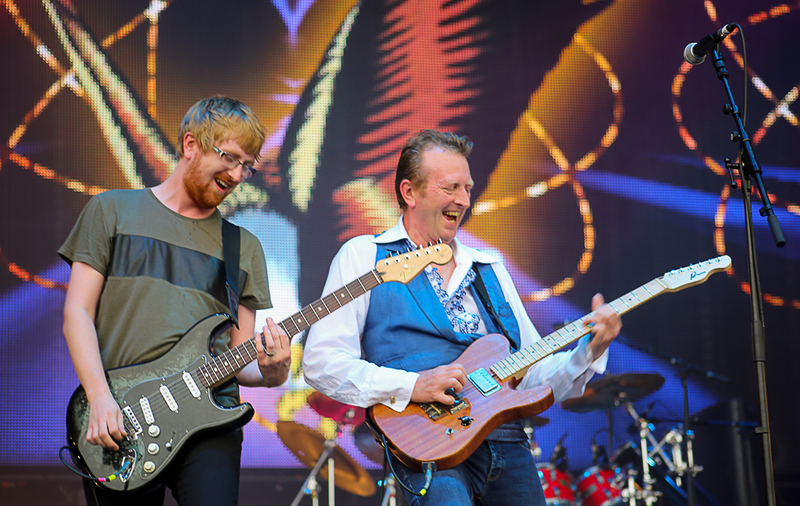 Four shows into Big Country’s latest anniversary tour, Mark Brzezicki was back home this week, between dates at Holmfirth’s Picturedrome and The Warehouse, Falkirk. And three decades after his primary band’s commercial peak, he can confirm there’s still plenty of love out there for a group continuing to go down a storm on the live circuit. 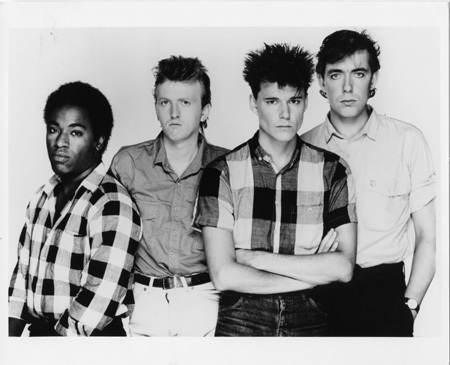 There was an earlier five-piece incarnation of the band guitarist Stuart Adamson formed after leaving influential Scottish punk and new wave outfit Skids, its members including future Runrig member and SNP MP Peter Wishart on keyboards. But despite several months rehearsing in a disused warehouse in Dunfermline and a couple of early gigs, Adamson wasn’t sure he had the right mix until the arrival of Mark on drums and Tony Butler on bass. Soon, the line-up was honed down to Adamson, fellow guitarist Bruce Watson, Brzezicki and Butler. So, I ask Mark, how did a band with such a strong Scottish identity end up taking on a Slough-born son of a Polish immigrant and a West London bass player from a Ghanaian family? Very poetic, and I could leave it there, but a more revelatory explanation follows, albeit involving a few more twists and turns … and plenty of casual name-dropping. “It’s a long story, basically a chain of events after answering an advert in Melody Maker when I was around 18, saying ‘Phil Collins/Bill Bruford style drummer wanted’. “I taught myself, playing covers with a band called Silver Stream, which included two blind players. They taught me a lot – guiding me, pulling me up on a lot of things, like tempos and levels and that it’s not about how I look but how I sounded. “We were playing chart covers in the ‘70s, high volume or low volume without slowing down, all those skills, around Surrey and Middlesex, with residences around West London. We played the Target pub on the A40 – now a McDonald’s – and around Hayes, Harlington, Islington … working men’s and ex-servicemen’s clubs, all that. We’ll get on to ESP later (you probably perceived we would), but first Mark tells us about an inspirational visit to an iconic London venue, featuring Phil Collins’ side-project. “I’d been to see a band – at random – at The Roundhouse, with a friend, and that was Brand X. That was a seminal moment – it changed my life. It floored me how good Phil was. I was only 16, but wanted to play like him, be successful in a band playing interesting music, not run of the mill. Mark got the job, joining a prog rock band he felt were ‘as good as Rush’. “It was for a fabulous prog rock band, ahead of our time, so good as musicians. We even had the Genesis road-crew come and see us at the Red Lion in Brentford. And as I was working with Simon Townshend I got to meet his brother, who was working on a solo album, Empty Glass, using a drummer called Simon Phillips, who couldn’t make it because of another session for Toto, I seem to recall. If you’re wondering where Big Country come into all this …. be patient – Mark’s on a bit of a drum roll. “By then we were On the Air, a power-rock outfit borne out of that original five-piece prog band – featuring Simon, Tony and myself. By then Simon had discovered punk and an energy to the guitar – as his brother had – so switched from keyboards. I didn’t really embrace the punk thing too much. If I was going to play like that I wanted to be more like The Police – more of a ‘muso’, more thoughtful. “But it was with On the Air that we supported the Skids and met Stuart Adamson. Then, when Tony and I played with Pete at a Right to Work march gig that year at Brockwell Park, we met Stuart’s (and the Skids’) manager, Ian Grant, who said the boys had made some demos but weren’t happy with the set-up, Stuart wanting a new rhythm section. A string of successful albums, singles and tours followed, Mark on all bar one of eight Big Country studio albums before lead singer, guitarist and songwriter Stuart Adamson’s alcohol-related death in late 2001, aged 43. It took a lot of soul-searching before the band decided to resume, but a 25th anniversary reunion in 2007 involving Brzezicki, Butler (as lead vocalist) and Watson led to a new LP and tour. And that was followed three years later by Mike Peters of The Alarm joining, along with Bruce’s son Jamie Watson on guitar. 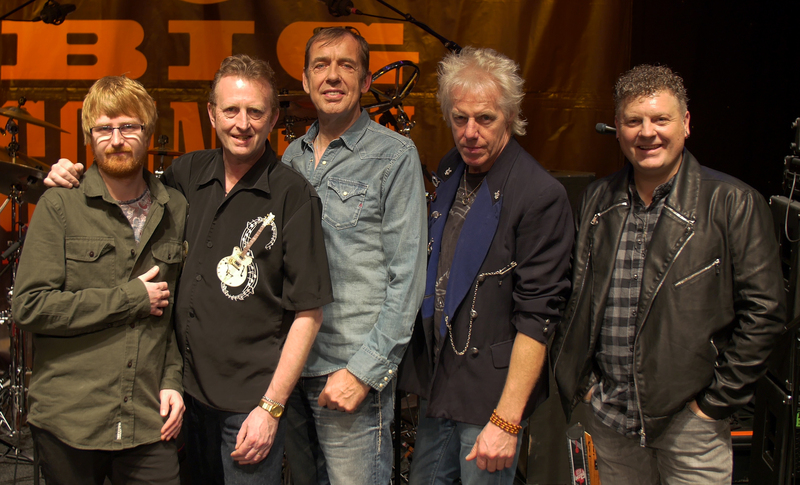 Four years ago Tony Butler left, replaced initially by Simple Minds bass player Derek Forbes, and while Mike Peters departed in late 2013, Simon Hough – previously with Denny Laine’s band – soon took his place. And now, as they celebrate the 30th anniversary of their most successful LP, The Seer, the band comprises Mark (drums, vocals), fellow co-founder Bruce (guitar, vocals), Jamie (guitars, vocals), Simon (vocals) and latest addition Scott Whitley (bass). “It’s fabulous. Every album has its challenges when you’re revisiting material. I don’t tend to play my music after it’s recorded, so it’s like opening an old chest, learning about myself. It’s more intricate than I remember. You evolve as you get older, adding more to your arsenal, but I was always ahead of my time, doing stuff no one else was. “It’s a different story for Bruce, playing without Stuart’s input, but his son Jamie’s a great player and they’ve worked out compromise parts. Not only are they playing the parts between Bruce and Stuart but on the records there are overdubs and embellishments, adding third or fourth guitars. They work very hard on that. “Likewise, Scott has to learn the parts of Tony, a brilliant bass player, and Simon has his own challenges – the writing was never done in the traditional way of a lot of songs in the charts. We were a unique band, lyrically and tonally. “Stuart would have been the first to admit he was a guitarist that ended up singing. But he got very good at it, loved and cherished. Simon brings a flavour and texture that Stuart had. It’ll never be the same, but he does an amazing job. “Coming to Big Country (from the Skids) Stuart took the spotlight and was fundamentally a guitar hero who sang, like Pete Townshend or Eric Clayton. But while we moved around on stage a lot, Simon doesn’t try to replicate that. He’s more measured, sensitive to the respect shown to Stuart – he’s not trying to be him. What about the inevitable criticism about carrying on without Stuart? “I’ve no time for the cynics. We’ll never get Stuart back, so it’s a case of never doing it again or just getting on with it. “There are a few bands in that situation, like Queen, who also have the original drummer and guitarist. I know Roger Taylor and Brian May well through working for the Prince’s Trust. They face the same problem getting someone to sing for them. They had Tom Chaplin from Keane when I worked with them. He was incredible. I’ve never known such an amazing version of Queen. But the way they see it is that it doesn’t really matter who sings – the songs speak for themselves. “It’s the two original members that matter – as with myself and Bruce Watson. And as Bruce put it, it doesn’t really matter who sings with us either – it’s just the new Dr Who. You don’t get put off it by who’s out front. “It’s not like Marillion without Fish or The Jam without Paul Weller. We lost a member and I won’t tolerate bias against us in that respect. This is the nearest you’ll get to hearing Big Country live again and it’s a privilege to play those songs. We’re celebrating Stuart’s life by playing his songs. Have you got good memories of the recording of The Seer? “Yes, we did it with Robin Millar, an awesome producer. As with the fellas in Silver Stream, he’s very restricted with his vision, but consequently has incredible hearing and an ear for musicality. “While our previous producer Steve Lilywhite’s pedigree was with U2, XTC and so on, Robin’s was with the likes of Sade. He offered a different feel, texturally not so pounding or heavy, with ambient drum sounds. We were one of the first to do that, along with Phil Collins. “When I revisited the album there were some beautiful songs, like Hold the Heart, and Robin steered us through with the textures, with side-sticks on the snare, something quite prevalent in Sade’s music. I played more measured on The Seer, which was far more song-driven. The Seer also involved Kate Bush, another artist Mark has got to know. It was a creative period for Kate, between her wonderful Hounds of Love (1985) and The Sensual World (1989) albums. 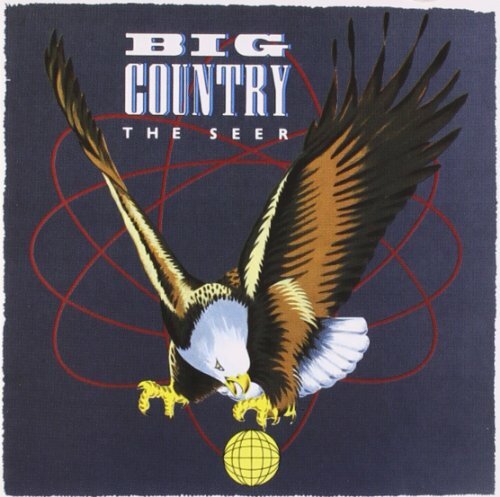 As it turned out, The Seer became Big Country’s best-selling studio album, reaching No.2 in the UK, with Look Away an Irish No.1 and their biggest UK single, reaching No.7. All these years on, Mark remains busy on the recording scene, and in more recent times I’ve been more aware of his work Bruce Foxton, Russell Hastings, and From the Jam. In fact, listen to a song like Sense of Summer, the closing track on 2012’s Back in the Room, and you’ll hear a quintessential Jam feel underpinned by Mark’s highly-recognisable drumming footprint. Actually, Mark was previously involved with Bruce Foxton in a project called Casbah Club back in 2004, also featuring Simon Townshend and Bruce Watson. And the impressive Brzezicki CV also includes stints with The Crazy World of Arthur Brown, The Pretenders, Nik Kershaw, and a reformed Thunderclap Newman, among others. Mark also featured on The Cult’s Love in 1985, leading to a live reunion with Ian Astbury, Billy Duffy and co., celebrating that LP 25 years later. And in 1984 he worked with Anni-Frid Lyngstad, better known as Frida from Abba. “I worked on her album Shine, for which Stuart Adamson wrote a track. I did artwork for the LP too, although the record company rejected that, wanting something more ‘power-‘80s’, involving fluorescent green and pink gloves! “I drew the band – in a very personal style – in the recording studio, including Steve Lillywhite, Tony Levin, Simon Climie, and Kirsty MacColl, who sang backing vocals. Benny and Bjorn played as well, so it was amazing to play with what was pretty much Abba without Agnetha. ”Stuart wrote a song called Heart of the Country, which Pete Glenister plays on, using an Ebow, replicating his style. It was going to be one of our songs but Stuart gave it to Frida. We also got on to another band he’s featured with over a long period – ‘60s survivors Procol Harum, after I happened to mention Mark’s music hero Phil Collins and I lived in the same Surrey village – just outside Guildford – during a period in which he was juggling his solo career with work for Genesis and Brand X. We were barely a quarter of a mile from each other … as the crow flies, albeit with me on the other side of the railway track. Phil was also a regular in the local pub – run by the parents of a good friend – and I recall tales of Eric Clapton visiting too, even known to play the spoons. And that turns out to be Mark’s cue to (majorly) out-namedrop me. “I’d do those Wintershall shows with Gary, Andy Fairweather Low, Eric Clapton on guitar, Jeff Beck guesting, and Dave Bronze on bass. And we had a fantastic time. I feel very blessed with that kind of friendship within the music business. But I do gravitate back to Big Country. That’s my band. With everyone else I’m guesting. Are you still in touch with Tony Butler, now he’s in the West Country? Talking of family, Mark’s brother Steve, based in the south of France, is a session musician, ‘a fabulous bass player’ as he put it. In fact, he tells me one of his original Big Country drum kits is down at his place. The brothers have also worked together, including a past tour with former Marillion frontman Fish. 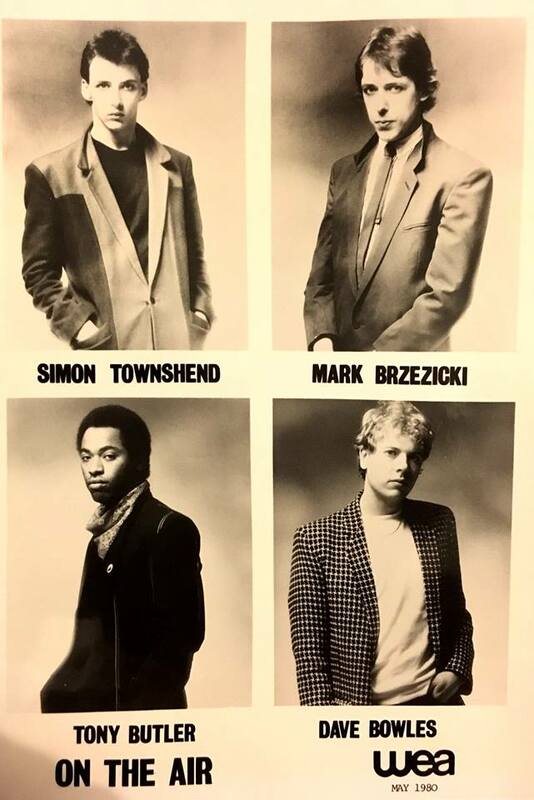 And I’ve since read elsewhere that Mark actually played in his formative days in a band called The Flying Brzezickis with two of his brothers. So where did the music come from in your family? There’s one more project that’s kept Mark busy of late – as briefly mentioned earlier – his prog-rock outfit ESP, alongside fellow Simon Townshend stalwart Tony Lowe, with debut LP Invisible Din just delivered. “It’s something I’ve always wanted to do, a little more like Genesis, reflecting my own background and love of all that. I sing lead on two songs, and Tony Lowe half-produces and half-plays. It’s very ‘70s but with today’s sort of twist, a kind of Yes, Genesis and Pink Floyd feel. And when Bruce Watson’s touring with the Skids next year, I’ll be out with ESP. It’s clearly a labour of love for a musician whose past projects have included prog-related work with the likes of Steve Hackett and Steve Howe. Meanwhile, time marches on and there’s a big birthday due for Mark next June, his 60th. I’m guessing there are no retirement plans though. “Yeah, I don’t feel that’s really my age, but I’m very proud of what I’ve seen and wouldn’t change anything. 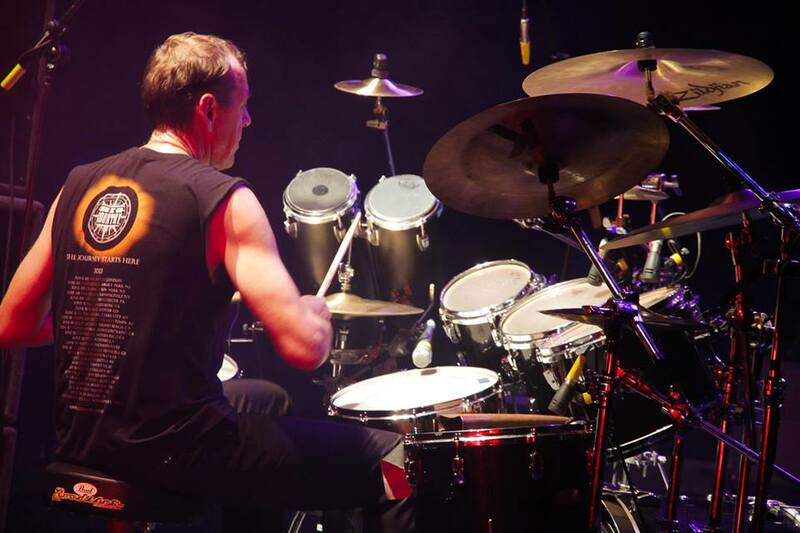 It’s given me that experience, and for me the greatest music for drummers has already been done, in the ‘70s – from disco to fusion to prog rock – and my head’s in that area for what inspires me still. For me it’s all a little too taught-at-school and going through the motions now. “Music’s lost its way with a so many of the old recording studios now gone. It seems that everyone does it at home now. So many drum parts are now sampled or programmed, moved around on a screen so you lose that feel. It’s like there being too many channels on TV – it’s quantity over quality, and I’m not seeing the quality. Before, people were discovering music, playing without too much technology, grabbing the drumsticks, gritting their teeth, finding their own style, right or wrong, even holding the sticks wrong. “Think of Keith Moon, not playing a hi-hat, very uncouth the way he played, while BJ Wilson in Procol Harum – a friend of Keith’s – never really played songs twice the same way. He’d kind of explode in different areas, each and every time. Finally, it’s 15 years in December since Stuart’s passing. I’m guessing you still think of him often. “There were different phases of our lives together on the road, but we also liked our distance, and were around 400 miles from each other. I’d probably see more of Tony while Stuart would see more of Bruce, but we were so much in each other’s pockets at times that we enjoyed our space away from each other, only in touch when it was time to get together again as a band – like going back to school. “When Stuart moved to America it got even more protracted, having to go out there to rehearse and do demos. The point I’m making is that he had a new life by then, writing with (US country music artist) Marcus Hummon. I did end up playing and touring with them, including his last tour, but Stuart became out of sight, out of mind and it became increasingly difficult to do the daily running when there was a time difference and you’re organising flights and so on. “I still think of him a lot though. It’s like losing a brother. I think of him at odd times – it may be a view I see or hearing a guitarist I really like or songs he was influenced by which I got to love. I’m reminded of Stuart every time I go up to Scotland and every time I play my drums and when we strike the first chord of any Big Country song. To revisit this site’s feature/interview with Mark’s fellow Big Country co-founder Bruce Watson from October 2014, head here. Big Country’s The Seer 30th anniversary tour resumes on Friday, September 30th at The Warehouse, Falkirk, carrying on through October, November and December, towards a Friday, December 30th date at PJ Molloy’s, Dunfermline. 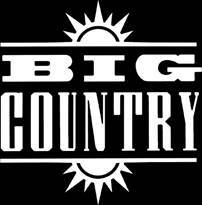 For full details and all the latest from the band visit www.bigcountry.co.uk or keep in touch via Facebook and Twitter. Meanwhile, here’s a link to the ESP page on Facebook, and another to Mark Brzezicki‘s own page. This entry was posted in Music and tagged Abba, Big Country, Bruce Foxton, Bruce Watson, Dunfermline, ESP, From The Jam, Kate Bush, Marcus Hummon, Mark Brzezicki, Midge Ure, Mike Peters, Pete Townshend, Phil Collins, Prince's Trust, Procol Harum, Queen, Scott Whitley, Simon Hough, Simon Townshend, Skids, Steve Lillywhite, Stuart Adamson, The Cult, The Seer, Tom Chaplin, Tony Butler, Tony Lowe. Bookmark the permalink. Great interview Malcolm! I was fortunate to have seen BC in San Diego, CA in their heyday (fantastic), and Mark with Procol Harum in 2001 (met him after the show, too). Amazing player! I don’t think I seen a more imformative interview. Thanks. Thank you Roxie! Comments much appreciated. As you say, Mark is a great player, and he’s a very nice bloke too.